The national peak body for waste management says Victoria’s recycling crisis is likely to get worse as pressure continues to pile on the industry. The comments from the Waste Management and Resource Recovery Association of Australia (WMRR) follow one of the state’s biggest recyclers, SKM, from accepting materials at its facilities in Coolaroo and Laverton North. 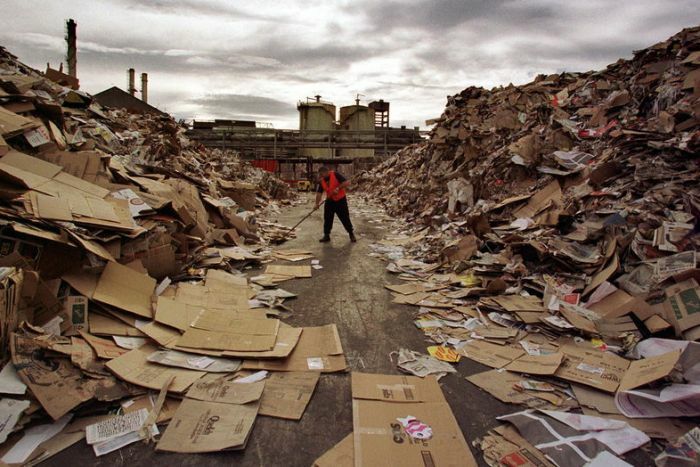 The Environmental Protection Authority (EPA) imposed the ban due to fire risks, forcing some of the councils which deal with SKM — more than 20 in total — to start sending tonnes of recyclable material directly to landfill. WMRR Chief Executive Gayle Sloan said SKM’s non-compliance has been caused, in part, by the failure of the recycling market — a drop in demand for materials processed by such companies has led to stockpiles building up. “The next stage in the supply chain is that we have manufacturing facilities purchase that [recycled product] to put back into packaging content,” Ms Sloan said. Moonee Valley City Council and the City of Darebin confirmed today they will be sending recyclable waste to landfill. SKM has a third recycling facility in Geelong which is used by at least 11 regional councils. 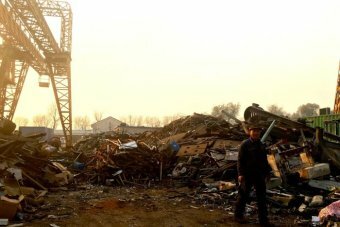 China’s ban on the importation of 24 types of recyclable materials in January 2018 sent Australia’s waste management industry, which indirectly employs about 50,000 people, into crisis. Of the 67 million tonnes of waste generated in Australia per year, an estimated 1.3 million tonnes is affected by the ban. “We’re beginning to see that pressure, of product coming in and product not being able to go out, starting to hit,” Ms Sloan said. “All operators are under pressure … we have found markets in other countries for some and obviously we’re trying to increase capacity onshore, but with that lack of demand it’s really hard to create a home for those products. Ms Sloan said current and past efforts to get one waste management company to handle a council’s recyclable materials when another cannot fails to address the fundamental problem. “All it does, in some ways, is move the issue somewhere else because they still need to find a market,” she said. “What’s at risk if we don’t do it is the fact that we’re not getting the chance to create jobs and a manufacturing base in Australia. The Victorian Opposition has continued to apply pressure to the State Government, calling on Environment Minister Lily D’Ambrosio to guarantee kerbside recycling will continue. Shadow Environment Minister David Morris questioned why the Government did not use the Municipal and Industrial Landfill Levy to resolve the issue. “$500 million has been paid by Victorian households and businesses as a bin tax to increase recycling,” he said. Ms D’Ambrosio said the Government had been working with 22 local government councils affected by SKM’s ban to continue kerbside recycling. 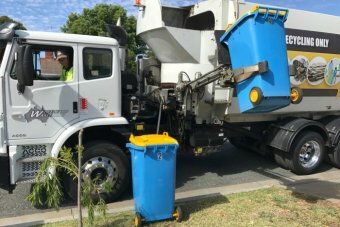 “Each council will deal with this kerbside collection issue in their own different ways and that is changing day to day, depending on advice on SKM in terms of when they believe that they will actually become compliant with the EPA’s requirements,” she said. “These contracts are held by councils, they are working through a variety of contingency measures. In July 2018, the State Government announced $37 million to increase the procurement of recycled materials. A spokesperson for Ms D’Ambrosio said regional councils in Hepburn, Mildura, Macedon and Buloke may also be directly impacted by the closure of SKM’s facilities. But chief executive of the Hepburn Shire Council, Evan King, said the council has arrangements with SKM’s Geelong facility which remain in place. Mr King said it would be “dangerous” for individual councils to look for their own solutions and that a statewide solution is needed. “It only takes a couple of facilities to be closed down and it throws the collection of recyclables in the state into turmoil,” he said. A spokesperson from Macedon Ranges Shire Council said they have made arrangements with their waste contractor to maintain their kerbside recycling regime. The ABC has contacted Mildura Rural City Council and Buloke Shire Council. SKM Recycling has been contacted for comment.